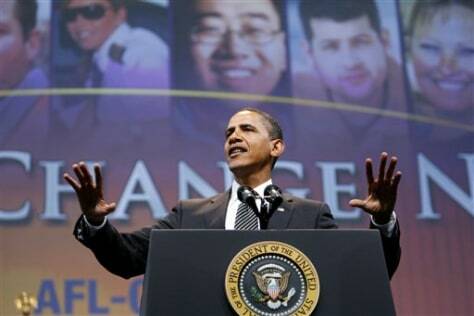 President Barack Obama addresses the AFL-CIO convention in Pittsburgh on Sept. 15. The same states that Obama targeted to win the White House are seeing an awful lot of the president, Vice President Joe Biden and top Cabinet officials. Only this year, the taxpayers are footing the multimillion-dollar tab for the trips.